When was the last time you evaluated the customer experience at your laundromat? Try to take a step back and look at your business with a set of fresh eyes. Imagine you are a customer and walk through what a visit would look like. Are there enough machines in service? Are the machines clean and easy to use? Complete a load of laundry yourself. Do the quarters stick when you try to pay? Do your clothes smell clean afterward? 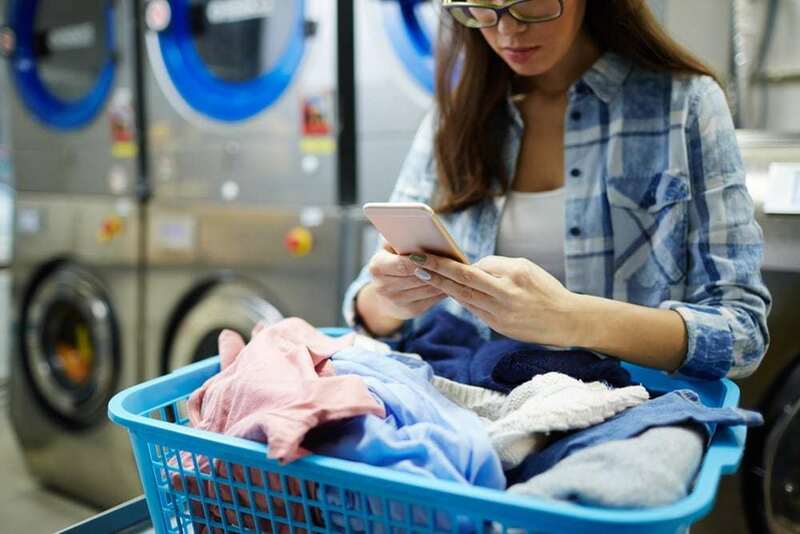 Improving your laundry service will take observation and dedication, but you will likely be rewarded with happier clientele, more repeat customers, and a boost in revenue. If you want to start improving your laundry service, begin by tackling the small stuff. From the moment your customers walk in the door, you need to make a good impression. Keep your laundromat clean and brightly lit, so your guests feel safe and at ease. People go to the laundromat with the expectation to leave with clean clothes, so you can imagine how disappointed they might feel when they place their clean clothes in a dirty washer or a washer that isn’t even functional. Keeping your machines clean and working well is a form of good manners; it shows your customers that you value their patronage and their time. Who says a laundromat can’t be a community gathering spot, similar to a diner or coffee shop? The next time you’re in your laundromat during business hours, pay attention to who you see. Do you recognize any regulars? Try to make conversation with your customers, and thank them for choosing your laundromat. Ask if they’re having a good experience in your store and what (if anything) they would like to see changed. In addition, encourage your employees to be observant. If they see a customer in need of assistance (struggling to work the machines, fold long linens, carry a heavy load, etc. ), they should step up and offer to help. If you want to take your laundromat’s community a step further, create a database of your customers. Place a spreadsheet on a clipboard (with a pen attached) in a prominent place, and gather your customers’ names, email addresses, and phone numbers. Send your customers e-mails with coupons offering a free wash or discount, advertise promotions, and be sure to thank them for their loyalty. Plus, once you have a database, you can notify a customer if they left their child’s favorite stuffed animal in the dryer. It’s all about forming good relationships with your customers. And who knows? Maybe your loyal customers will even decide to drive a little further to your laundromat when they move to a different neighborhood. Do your best to make your customers feel welcomed and at home. Consider setting up a complimentary coffee and tea counter and providing a few toys for children to play with. You could also occasionally host a free drawing for a prize, like vouchers for free loads of laundry. If free amenities don’t fit into your business plan, you could also offer for-profit perks like vending machines or a snack counter. Sometimes improving your laundry service requires improving your equipment. Be sure to check out Laundry Solutions Company, a full-service provider of premium vended, on-premises, and multi-housing commercial laundry equipment. Our leasing program provides no mileage fees, no service fees, and no parts fees. You will be able to use high-quality Speed Queen equipment while enjoying a flexible lease and predictable payments. To learn more about our products and services, please give us a call at 800-838-9274 or contact us online. We look forward to hearing from you!